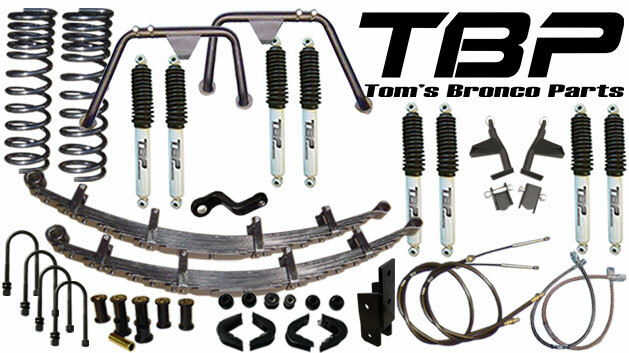 Tom's Bronco Parts' 5.5" Suspension Lift Kits for 66-77 Ford Broncos are built using all high quality components to ensure a comfortable ride and unbeatable off-road performance. Our 11-pack leaf springs give you the best of both worlds, providing a soft ride along with excellent off-road articulation. These leafs include silencing pads between each leaf to offer a quiet ride and the front double military wrap offers added strength and protection against breakage. 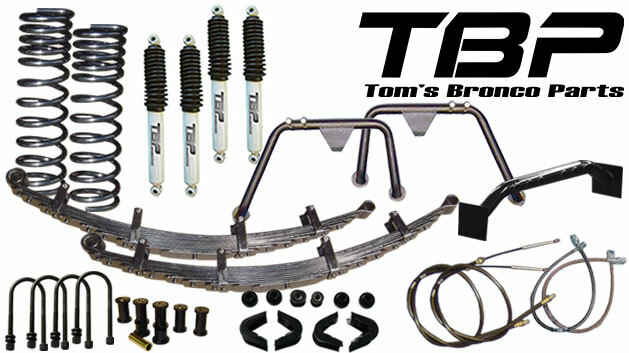 For the front Coil Springs, we offer progressive rate coils. The softer pre-load spring layer produces a comfortable ride and excellent articulation. As more force is applied (turning, braking, etc.) and the pre-load springs fully compress, these springs progress into a stiffer coil to provide the extra support needed to help limit the unwanted effects of body roll. 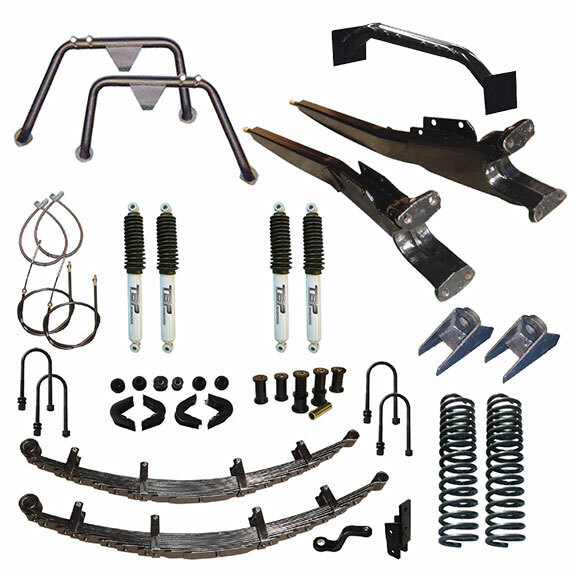 For a 5.5" Lift, there are some other parts that come highly recommended for varying reasons. Below are some parts we recommend along with the reasoning behind it. Extended Front & Rear Center Brake Hoses: At 5.5" of lift, the stock front and rear brake hoses will no longer reach from the frame to the differential (if they do they will be VERY tight). This is a necessity to be changed. Some of our base priced kits do not include these hoses. If you have not already installed new extended hoses, make sure you get these whether they are part of the kit you ordered or an add-on.